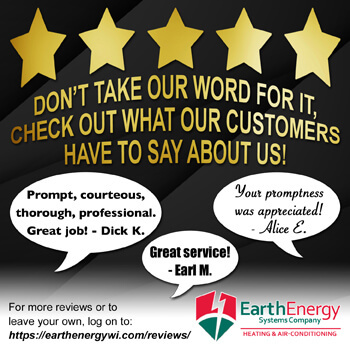 Earth Energy Systems in Siren WI provides reliable, friendly service as well as Free Estimates. We have been providing quality sales and service to Polk and Burnett Counties as well as parts of Barron and Washburn Counties for more than twenty years. We are an independently owned company. Whether you need an entirely new system or would just like a routine inspection, we can help you. We serve both residential and commercial customers and bring experience and quality to every call. 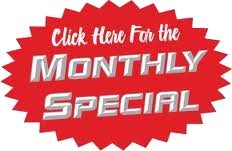 We can help you with regularly scheduled maintenance checkups to ensure that your system is running at peak performance. This will keep your heating and cooling bills as low as possible while also keeping your furnace or air conditioning system running for years to come. Be sure to ask us about controllable, programmable thermostats that you can adjust even when you’re miles from home or work. Think of them like a remote control for your furnace or air conditioner. Imagine the money you can save knowing you’ll be home late and being able to adjust the temperature in your house accordingly. We also provide geothermal and in-floor radiant heating options which are environmentally friendly and can save you a considerable amount of money on heating and cooling costs. Having trouble with allergies or concerned about the quality of the air you’re breathing every day? We can help with that too. Be sure to check out our air filtration or air exchange systems. We offer only top-quality brands with top-quality installation and service. Give us a call or stop in today discuss your Wisconsin Heating & Cooling Needs!